Every Christmas market needs a little bit of sausage… these markets originated in Germany who conceived the idea in 1294 , which has given them over 700 years to perfect their bratwurst. We now see them as a major landmark in many cities across the world, so we have a lot to thank our German counterparts for. And if you’re a bit of a bah humbug, I’m talking to you Joe… head to the beer tent, challenge Gunter to boot race and by the end of it you’ll be in a far more cheerful mood. As you can expect London is lit up at this time of year, it’s full of the typical Christmas cheer and also some spectacular Christmas markets. Admittedly London does have its flaws at Christmas, trying to any kind of shopping on Oxford Street is a disaster waiting to happen. When joined by 5 billion people from around the UK all looking to buy the latest gifts for friends and family you have no option but to go with the crowd. Even Jona Lomu couldn’t part the mass of people and shop in a typical fashion. If that’s not bad enough then trying to find the gift you’re looking for in stock is like finding a needle in a haystack. Call me Scrooge but this mass consumerism, and gluttony does not, embellish the symbol of Christmas. 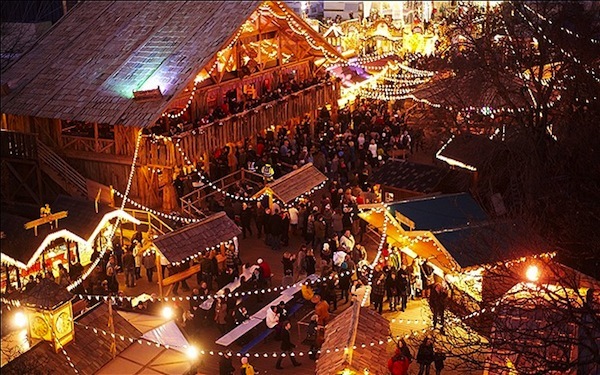 What London does possess some fantastic Christmas markets, many of which are German. For some reason Germans know how to put on a good market, sweet smelling ciders, wines and treats linger in the air drawing you from one stand next. But it’s not just the Germans, people from all over Europe come and present in the Christmas markets around town. I am not going promise these markets are any quieter than the popular shopping streets but the atmosphere is far more enjoyable. We’ve put together a brief overview of the top three Christmas markets in London where you can find quaint gifts, unique foods and if it’s your first time the capital a great introduction to its multiculturalism. Every year Hyde Park’s Winter Wonderland attractions become more impressive, spectacular and heralding than ever before. You will mingle with celebrities, Royals and average Joe’s in this eclectic mix of festivities. 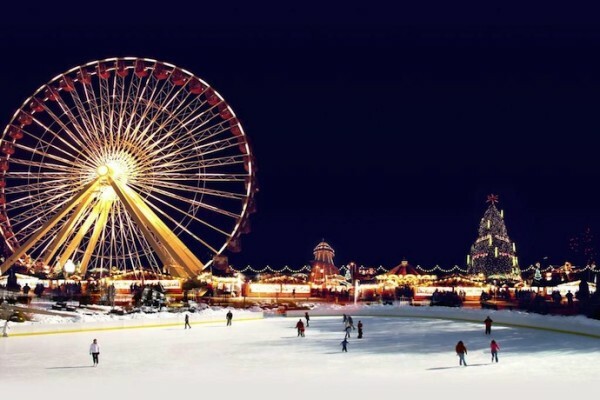 You can skate on the U.K.’s largest ice rink, take a trip to the magic ice Kingdom and even view a berserk circus! 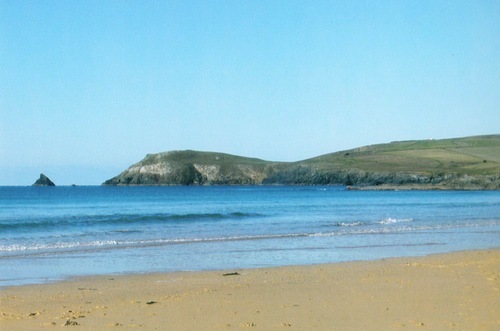 Depending on what time you go you may have to endure hyperactive children and even potentially some adults, bolstering through the crowds to play the next fair game, but you shouldn’t go anytime but at night. This is when the park comes alive and you can enjoy the vast array of lights while wrapped in your best Christmas attire. The market stalls sell anything and everything you can possibly imagine, and just as you thought your festivity levels have reached their maximum potential, you’ll realise the zenith is higher than you can comprehend. As you wade through the crowd you’ll hear festive chimes from all directions, smell currywurst and roast nuts, and see the tomfoolery of the trade stalls. If you’re looking for a truly unique gift carved of Amber, or a unique pendant set in sterling silver many of the bespoke market jewellers will have something to suit your needs. 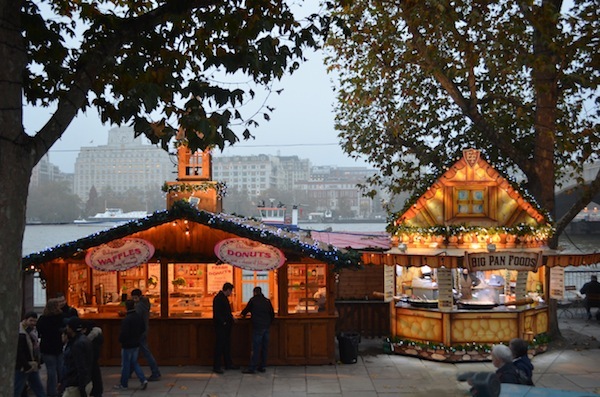 Along the south bank there are hundreds of wooden chalets set up serving mulled wine, bratwurst and gingerbread men. 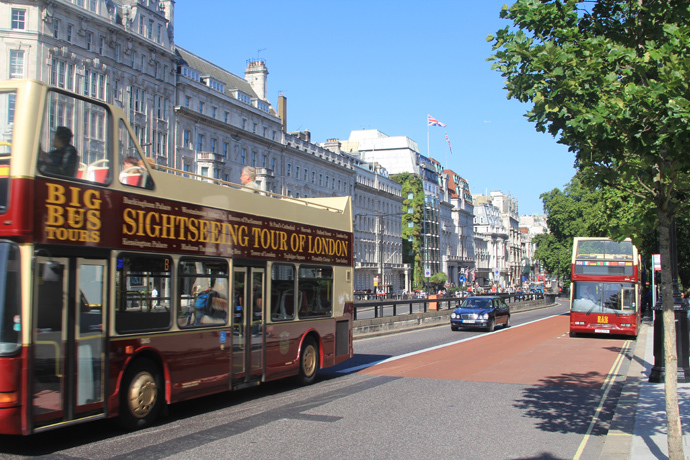 With a unique view of the river and major London landmarks such as the shard and the Houses of Parliament you can combine this Christmas market with some of London’s most prestigious sites. Potentially having more of German authentic feel to it than the Hyde Park Christmas market, here you’ll find some of the greatest beer tents this side of the Rhine. Kew Palace is a royal palace situated on the banks of the River Thames 35 minutes from London. Situated in an idyllic woodland setting makes this the perfect place for a luxurious getaway from the hustle and bustle. 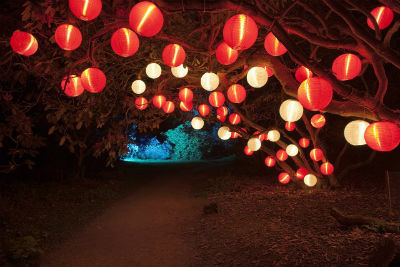 In the gardens themselves there is a secret Santa’s grotto in which you can leave the kids to be entertained, while you explore the hidden archways and alleyways littered with fairy lights. Be warned is likely to be slightly chilly out here as the gardens are far more open. The gardens are open from November 28 until 4 January. 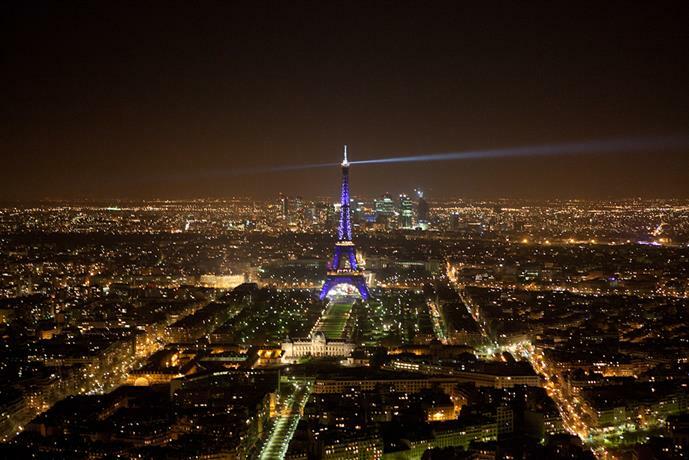 Many of the lighting effects have been produced by local artists, many of which will be deeply grateful for supporting the local culture. 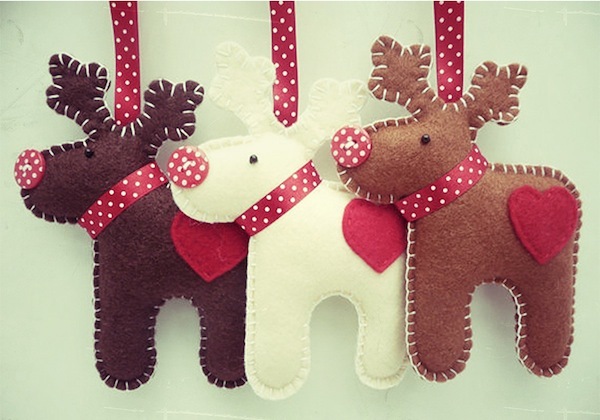 If you’re looking to gifts this Christmas then look no further than handmade Christmas in the O2. This £5, two-day only event is perfect for those of you who can’t think of anything to buy their significant other. It is a gallery of independent designers, Crafters, hobbyists and connoisseurs of both food and drink who come together to put on display of bespoke items. For a truly unique gift this is the place need to come. It doesn’t feature the same kind of atmosphere as Christmas Kew and winter wonderland, but instead is a lifeline for those of you under pressure from the Christmas rush. The event is on the Friday 13th of December until Sunday the 15th. For more information visit their website. Next articleIs Clos Maggiore the most Romantic Restaurant in London?